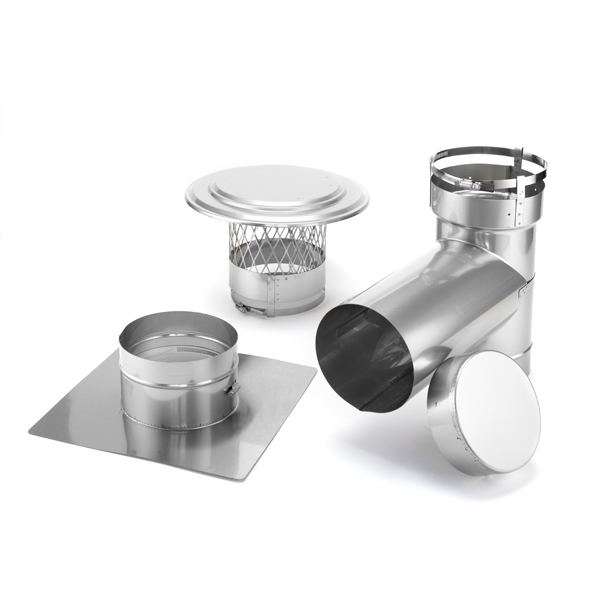 3-inch HomeSaver UltraPro Chimney Liner Component Kits are perfect to supplement the separate purchase of a HomeSaver UltraPro chimney reliner of the size corresponding to the component kit. The kit does not include the reliner pipe, but it does include a 13-in. x 13-in. collar plate w/ band connection, a rain cap for the collar plate w/ a band connection and 3/4-in. mesh, a short tee w/ removable take-off and band connection, and a tee cover. Absolutely everything you need to get your relining project started and finished. If you have the liner taken care of but you don't have the hardware to see the project all the way through, give your chimney liner installation the boost it needs by picking up a 3-inch HomeSaver UltraPro Chimney Liner Component Kit before wasting any more steps.